This football time of year cracks me up, but I’m laughing at myself, no one else! It’s Super Bowl football time, I realize it’s been going on for months now, but only because I heard it’s play offs and someones team lost, they are really sad, and the stores were empty on Sunday. Oh and people were watching football on Thanksgiving. Yup, that is how I know it’s Super Bowl. I also have to check the date on the internet every single year. And Brian reminds me tv’s are on sale now lol! But the truth of it all, I obviously don’t watch football, but I do make and love football food! I loved making an epic hummus platter for Thanksgiving pre meal for football watching times, and I LOVE having my family over on Super Bowl Sunday for finger football foods. NOT joking at all, it happens every year. I then pick a team and root for them, not based on colors, but just a feeling. I used to go to 49er games with family as a kid when I lived in California, but I feel football has changed so much, and it’s not my preference. But food is always my preference as you well know. I feed the football people and have a great time the two times I watch football every year! And this Chicken Hummus Slider is no different. I made that awesome hummus platter last football game and got to thinking, these ingredients would be so good in a burger. Then chicken came to mind, and I find chicken burgers plain and dry most of the time, so hummus of course! It has tons of great flavors and adds tons of moisture. It worked out perfectly and they are so pretty with the peppadew peppers that I am clearly obsessed with! A must on this recipe, so good. Sabra has a promotion going on right now! Sabra’s Buy, Snap, Score promotion: buy Sabra and Stacy’s together before 2/15/16 and score a $5 gift card. Totally worth it! 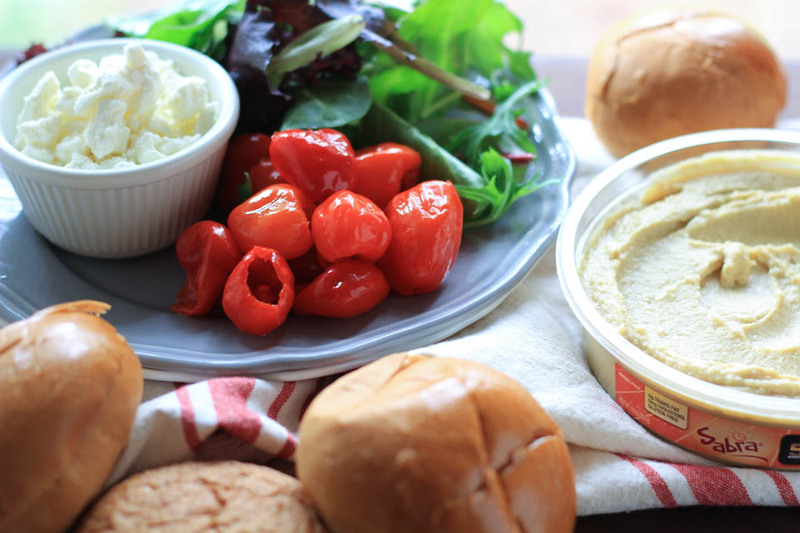 For more recipes using hummus, guacamole, and Greek Yogurt Dips check out the Dip Zone! My blogging friends will be sharing great recipes all month long for Super Bowl, I know I’ll be making them for my family come Super Bowl time. Place ground chicken, hummus, parsley, and feta in a large bowl, gently mix to combine. Separate into 8 slider sized balls, about 1/3 cup each. Note: The mixture is very wet. Keep in 1/3 cup balls until you add to pan. When adding to pan, flatten into burger patty, about 1/2 inch thick. Heat 1 tablespoon olive oil in large 12 inch cast iron or skillet. Heat over medium high heat, once oil is shimmering, place 3-4 sliders in pan. Sear on medium high heat for 5 minutes, turn and sear for 1 minute. Reduce heat to medium low, cook for 7 minutes or until internal temperature reaches 155 degrees. Remove, place on plate, and cook remaining sliders. Once all sliders are cooked, turn heat to low, add 1 teaspoon olive oil, add slider buns face down to toast each side until golden brown and toasty, about 1 minute. Place small bunch of mixed greens on bottom side of slider bun, add patty on top of mixed greens. Add peppadew pepper on top of patty, top off with bun. Serve toasty warm for an appetizer party, or entree with a salad! Add more condiments to your preference, but they were not needed in my opinion. Use the leftover hummus for a hummus platter! I would never have thought to add hummus directly into a burger mix. Love that idea!! So creative. Thank you! Adding that moisture to that chicken, made all the difference! 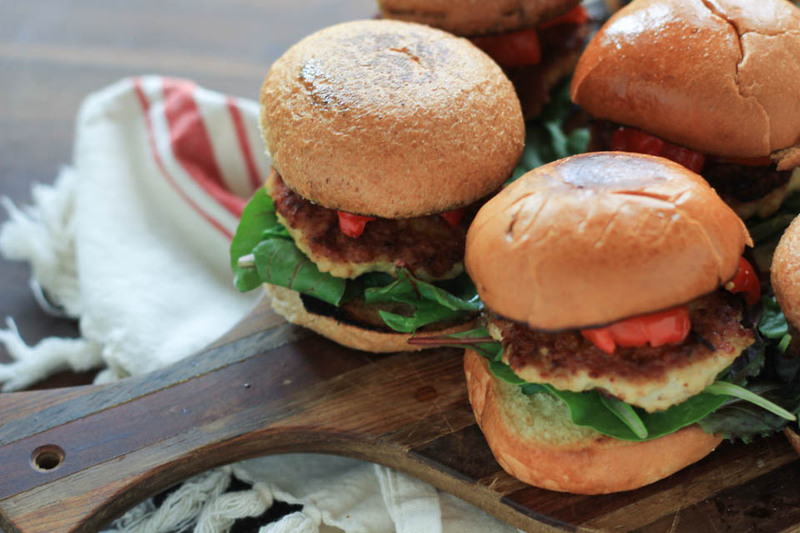 These sliders look and sound fabulous and I love the addition arugula! 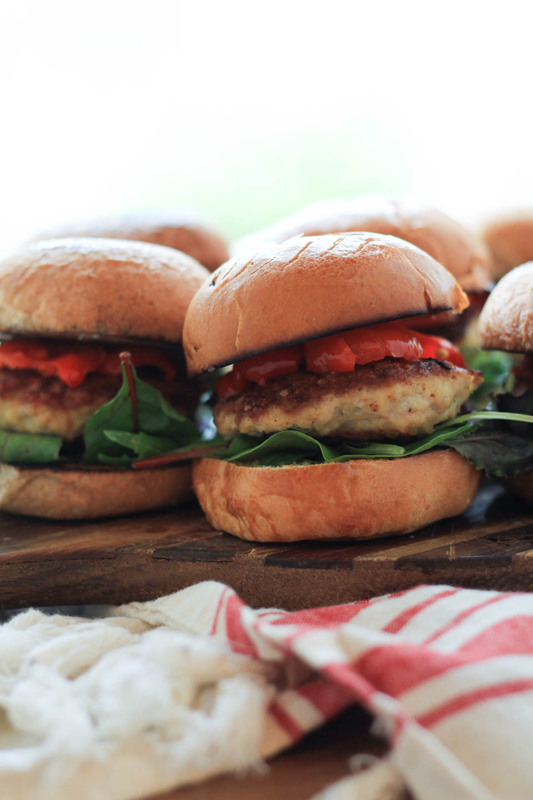 I have never tried hummus in with the burger ingredients before, but I need to as these look seriously amazing! 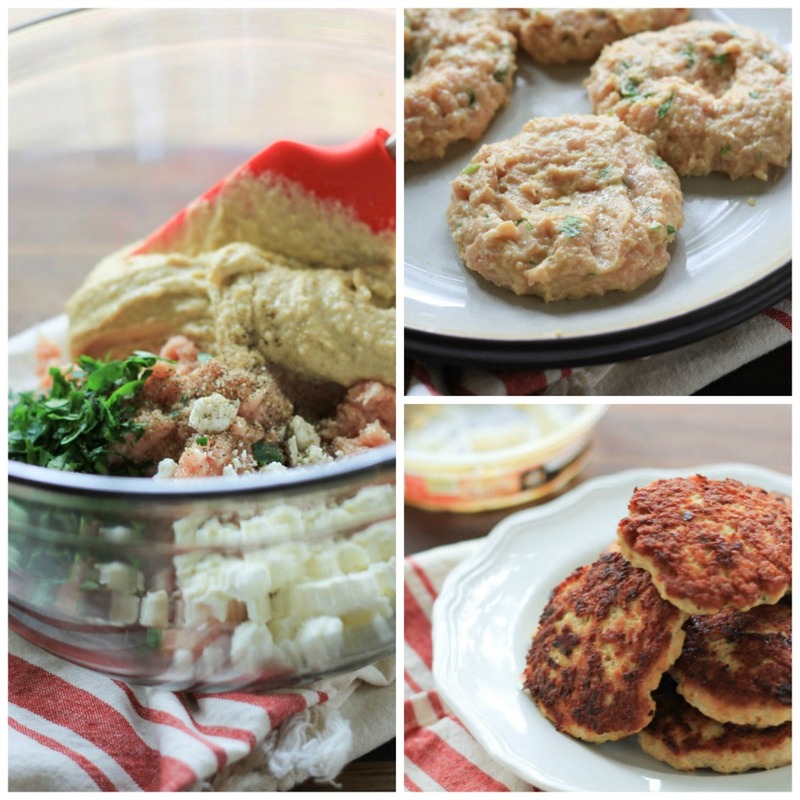 Mixing Sabra into the patties is such a great way to keep them tender. These would be a hit on game day! Such a fun idea and tasty recipe! 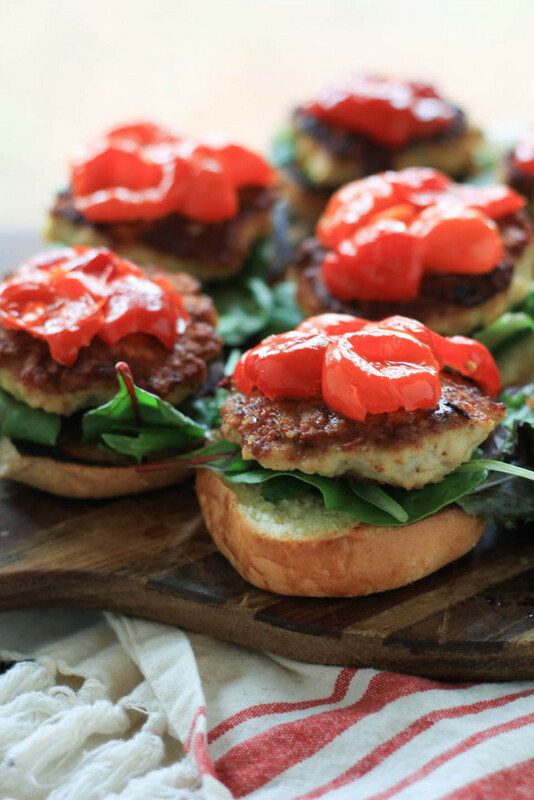 Sliders of all sorts are a fav in my home. This looks so incredible!!!! Also, I miss you and I’m so grateful for our time together! Thank you so much sweets!!!! I miss you and am super grateful we met too 🙂 xoxo! I’m still sugar free coffee! These sound delicious with the hummus and I’d love to try it with the different flavors. Thanks for the recipe!